Federica Biasi, born in 1989, graduated with honours from European Institute of Design in 2011. 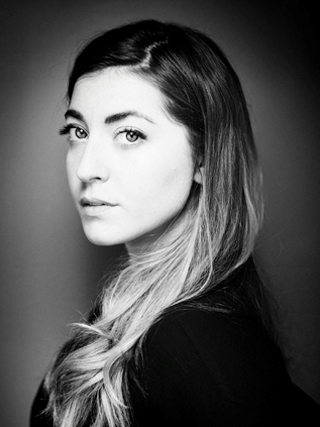 From 2011 to 2013 she worked with design agencies based in Milan. In 2014 she moved to Amsterdam to observe and understand the nordic design and the emerging trends, focusing on the aesthetic beauty and the formal simplicity which has inspired her personal style. Currently she became art director of the italian company Mingardo, meanwhile she collaborates as creative consultant with design companies as Fratelli Guzzini, focusing on worldwide trends research and forecasting: color, material & finishing, carefully analyzing the know-how of every company she’s collaborating with. She furthermore develops ceramic tableware, textile products and furniture, she strongly believes in the strength of the handcrafted products. Federica is a 360° designer, her philosophy is based on a clean aesthetic approach: nothing is left to chance, every detail has a careful goal whether it be of a product, or an art direction work.